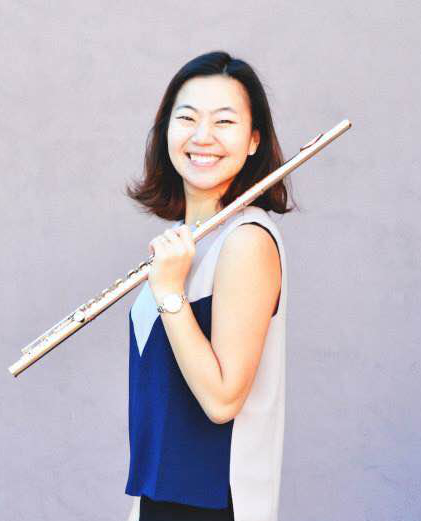 A native of Korea, NaYoung Ham is an accomplished flutist in the Seattle area. She has established herself as a soloist, an orchestral player, and a chamber musician, and has performed with the Seattle Collaborate Orchestra, Puget Sound Symphony Orchestra, and the Seattle Wind Symphony since she moved to Seattle in 2016. Mrs. Ham is currently a Doctorate of Musical Arts candidate at Arizona State University under the guidance of Elizabeth Buck. She earned her Master of Music degree in Flute Performance from The Boston Conservatory, where she earned a Graduate Performance Diploma. Mrs. Ham was also a recipient of the Special Talent Award and a Graduate Grant from the Herberger Institute for Design and the Arts at Arizona State University. As an educator, Mrs. Ham has been teaching for over 12 years, and believes in teaching students of all ages and levels in the teaching styles that works best for them. As a Graduate Teaching Assistant at Arizona State University, she taught the Woodwind Methods class for music education majors, Secondary Flute Lessons to non-major flute students, and was the director of the ASU Community Flute Ensemble. She maintains an active private studio in Washington. While studying in Boston, she frequently performed as a chamber musician with her Debussy Trio (Flute, Viola and Harp), including at the Boston Harp Festival and the Worcester Chamber Music Society Summer Festival, and was awarded top prizes, including The Alexander and Buono Flute Competition in New York. As an active contemporary musician, she has performed at recitals and festivals, including the Warebrook Contemporary Music Festival, and was a member of the Arizona Contemporary Music Ensemble. Mrs. Ham served on the board of the Arizona Flute Society from 2013-2016, and has been a board member of the Seattle Flute Society since 2017. She is also an active member of the National Flute Association.